Vera had been wandering around, when they smelled something of sweet blossoms. They attempted to find the source of it, when the scent brought them to... a finned dragoness. They tilted their head and grinned. She's beautiful. They thought to themselves before approaching the dragoness. "Hey. What's your name?" They asked, staring at Saphira and looking her up and down. "Nice singing voice." Saphira jumped and she turned her head around to see a NightWing hatchling. She displayed a warm smile to them and said, "Hello, little ones! I am Saphira, and I thank you for your kind compliment." She patted them on their heads. She kindly plucked a royal blue blossom from a nearby tree and handed it to them, saying in her odd accent, "This is a Royal Flower species, and it is a symbol of friendship and trust. What is your name, little ones?" Vera stared at Saphira and took the royal flower, tilting their head. They looked at the flower and then back at the dragoness. Did she realize that they were trying to [i]flirt[i]? They shrugged and nodded, taking the flower. "I'm Vera. Your name is amazing, it suits you so well." They said, smiling. Saphira blushed, her cheeks turning hot pink and and her eyes becoming magneta. "Thank you," she chuckled, smiling a vibrant grin. "Yours does, too!" She gazed at Vera a little more, meeting their gazes, and looked out at the sea. The breeze was flaring her sandy gold webs, and she turned her head back to Vera with a friendly pair of eyes. She blinked slowly, her eyes gleaming as she thought of something to say, then she asked in her accent, "Tell me about yourselves. I'm excited to know a little more about you so we can become friends." She laid down, rested her chin on her paws, and gazed up at them, smiling happily and kindly. She has already come to admire Vera, and what she said was the truth: she was eager to get to know them more. Vera noticed the changes in colours, her eyes and cheek area becoming variants of pinks. They sat down and looked at Saphira. "Why, thank you! I guess I'm just a NightWing, about-to-be-trainee. And I like your face." They said and tilted their head, again. This was another attempt at... strange.. flirting. "I hope you have the most amazing mentor possible, and you will grow to be great dragons!" she laughed, and she said, "I'm not from here. I came from another province far away. My father was a gladiator. I'm not sure who my mother was. I just know she was a slave." Crystal raced quickly over the corner of the Nighwing borders and into the Seawings. She liked the smell of salt, and the sand, which was a color she never got where she was from. Because of the mixed in Nightwing, she was fine with these tempertures. She did a triple summersalt and landed straight stood in front of Saphira. "Oops.. Uhh sorry. I didn't think anyone else was here. Saphira tossed back her head and laughed. "Oh don't worry, little one!" she exclaimed, raising the hatchling to her feet. She gave her a warm vibrant smile and said, "Don't worry. I'm not angry. I'm Saphira, and this is Vera." She flicked her tail at the NightWings. "And you are?" "Crystal. Scholar Trainee!" she shouted happily, at tried to jump into the water happily, but instead she just froze the water around her. "Man!" "Oh, I'm fascinated at your icy abilities," Saphira commented, and she patted the hatchling on her head. "And scholars are amazing ranks. They find out everything the Tribe needs to know. You'll make a fantastic one, I'm sure!" "Thank you! You must be a healer?" Crystal smiled, thankful for the Seawing's nice words. Vera stares at the trainee, raising an eyeridge. Eh, cute. But I've got this one. They think to themself with a glance at Saphira. "Yeah, I'm Vera. Hello, Crystal." They say and look back at Saphira. "Haha, thanks. And a gladiator? Interesting. I'm not sure what I want to train for. Thinking maybe a healer, or a guardian." They say, standing up. "A healer and a guardian are both equally fantastic ranks," Saphira said to Vera, grinning. "I bet you'll make great ones!" Vera nods and smiles, tilting their head. "Yeah, they are! Thank you." They say. They then mutter: "And a healer is a GREAT rank, because you're one.. pretty-faced woman." In such a quiet voice it was almost impossible to hear. Saphira blushed once more. And chuckled. "Err... thanks." Vera sat back down and looked at Crystal, then back to Saphira. So, Saph, are you.. err.. single?" They asked awkwardly. They intended to brush away the question once it was answered. "Errr... Yah," Saphira replied to Vera, confused at their question. Vera tilted their head and nodded with a smile. "Mmm, okay. So, what are you planning to do today?" They ask casually. 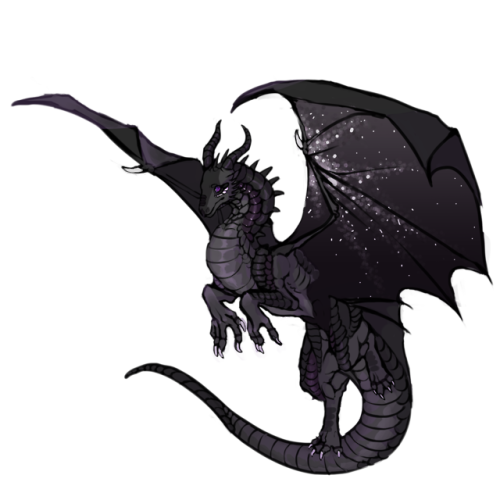 Saphira laughed, blushing and her eyes becoming the vibrant shade of lilac. "Oh, you know, sorting herbs. Flying. Swimming. What about yourself?" Vera giggled back, listening carefully to Saphira. "Waiting to train, trying to hunt, hanging out with people." They say, raising a claw for every item they list. "What a lovely routine," Saphira responded, nodding. Vera stood up and stretched their back, their eyes closing as they did so. They finally settled, standing as they looked at Saphira. "So, Saphira, I've never really been swimming before.. Could you teach me?" They asked, tilting their head. They fanned their wings out slightly as a gesture of relaxation and a slight bit of tiredness.